361. Sant Tukaram (1608 – 1649) is one of the saints who produced an extraordinary influence on the Marathi world through his poems. 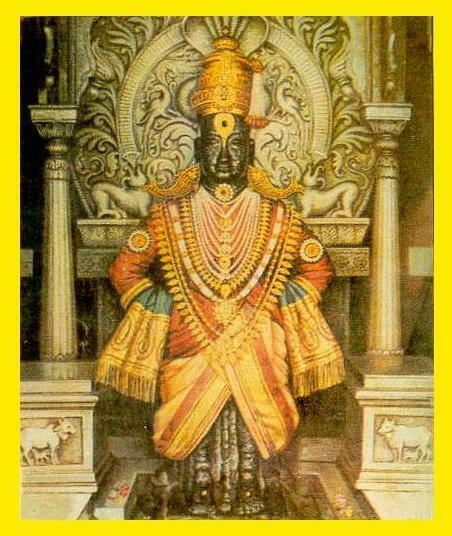 He speaks of God as Vitthal, Vithoba, or Pandurang, local names for God Vishnu. Few have felt the inherent tragedy of the human condition with such sensitivity as Tukaram. The times and his personal life and emotions show through his poetry with extraordinary clarity. The sorrows of his life were the occasion for spiritual elevation. He was a contemporary of King Shivaji and a devotee of Vithal. His teachings are contained in Abhangas. His parents were poor agriculturists of Maratha community but of pious and charitable nature. Their family deity was Vithoba of Pandarpur. As a petty farmer and trader, Tukaram innocent of worldly ways, and was cheated and humiliated in dealings. 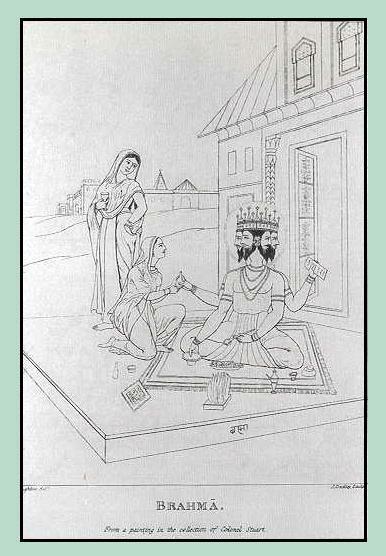 His life is a favorite topic for Keertankars (reciters and story tellers in praise of God) as it is full of dramatic incidents of misadventures of an unworldly man. He was initiated into the spiritual path by one Babaji Chaitanya. This may have been the famous deathless yogi Babaji but there is no indication either way. Caste and class do not come in the way of God-realization, he declared. He emphasised the life divine and explained his desire for the Amrita. He stated that the attainment of the Amrita is through the Nama and man’s liberation is through the Amrita. He considered that his destitution was a needed condition for his higher spiritual achievement, his greater love of God. 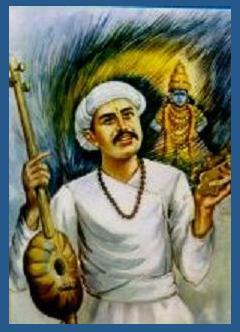 Tukaram addressed his songs to the Lord-of-Pandhari (God Vishnu). He took to wandering around many towns and performing devotional songs, the kirtans, at Dehu, Loehgaon and Poona. These were strongholds of the Brahmans who were particularly rigid about the rules and regulations of caste and scripture at the time as they were under serious attack from the Mughal Aurangzeb who was in a frenzy of piety over his faith and demonstrating it by attacking the religious places and forbidding the practices of the faiths of others. It is instinctive to huddle together and hold ever more tightly to the rules that define a community at such times and here was this lower caste upstart coming along and singing that the rules and caste did not matter only love for god did. He was naturally subject to every form of persecution. Tukaram did not care; he was too busy singing about his beloved Vithobha to notice. (source: Religions of India: Hinduism, Yoga, Buddhism - By Thomas Berry p. 53 - 54 and indiayogi.com). 362. Dr. Matheson ( ? ) wrote: "It is not too much to say that the mind of the West with all its undoubted impulses towards the progress of humanity has never exhibited such an intense amount of intellectual force as is to be found in the religious speculations of India.....These have been the cradle of all Western speculations, and wherever the European mind has risen into heights of philosophy, it has done so because the Brahmin was the pioneer. There is no intellectual problem in the West which had not its earlier discussion in the East, and there is no modern solution of that problem which will not be found anticipated in the East." "We may think this language too strong but we shall never again depreciate the intellectual value, the philosophic subtleties, the religious purpose of the sacred books of the East." (source: Is India Civilized - Essays on Indian Culture - By Sir John Woodroffe p.138 -139). “One of the most interesting pieces of all is a fragmentary bronze bust, from the western Mebon, of the God Vishnu lying asleep on the ocean of non-being. Head and shoulders and the two right arms survive. It shows the extraordinary, delicate integrity and subtle total convexity of surface, which these sculptors could achieve by modeling. Eyebrows, moustache and eyes seem to have been inlaid, perhaps with gold, silver or precious tone, though the inlay is gone and only the sockets remain. This was one of the world’s great sculptures. Another magnificent bronze of Shiva, from Por Loboeuk, suggests the wealth of metal art that once must have existed in Cambodia (Kamboja) at the height of its power." This was one of the world’s great sculptures. 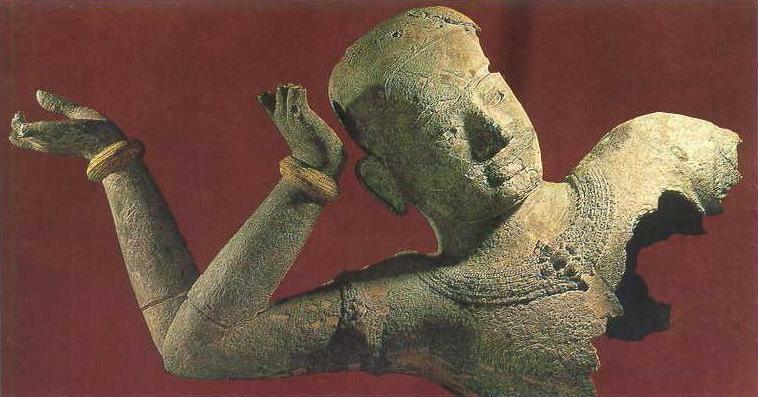 Recumbent, bronze image of Lord Vishnu lying asleep on the ocean of non-being - Western Mebon, Cambodia. 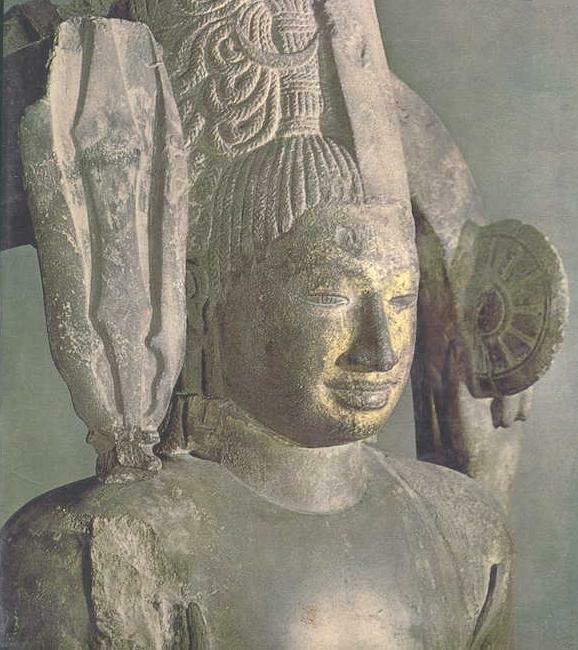 One of the most interesting pieces of all is a fragmentary bronze bust of this colossal image, the most extraordinary bronze statue of Southeast Asia. Between two cosmic periods, Lord Vishnu, lying on the snake Ananta (“He who has no end”), is resting on the surface of the primordial waters. (source: Great Civilizations: The Cultural History of Angkor - By Jean-François Gonthier p. 15). "The genius of the artists of that age was for relief. Indeed one might say that Angkor Wat is a repertory of some of the most magnificent relief art that the world has ever seen. The open colonnaded gallery on the first storey contains over a mile of such works, six feet high. The main sources for the relief subject matter are the Mahabharata and Ramayana, as well as legends of Vishnu and his incarnation Krishna. The wars of classical legend, in which incarnations of the various persons of the Hindu deity triumph at length over demonic adversaries. The artists’ skill is everywhere apparent." (source: The Art of Southeast Asia - By Philip Rawson p. 1 - 77. For more refer to chapter on Suvarnabhumi). 364. Arthur Osborne (1909 - 1970) has lived with the Indian sage, Sri Ramana Maharshi. 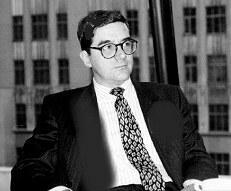 He was a man of brilliant intellect and introspective spirit. After graduating from Oxford, his inner longing to experience the Supreme Reality ultimately brought him to the hermitage of the great Indian sage, Sri Ramana Maharshi. In Ramana's presence, Osborne's literary abilities flourished, and he became a vehicle for the genuine spiritual understanding that awakened within him. He wrote some poems - including one on Arunachala. His son was Adam Osborne who invented the portable computer. "The recognition of Pure Being as one's Self and the Self of the universe and of all beings is the supreme and ultimate truth, transcending all other levels of doctrine without denying their truth on their own plane. This is the doctrine of Advaita, non-Duality, taught by the ancient Rishis and pre-eminently by Shankaracharya. It is the simplest as well as the most profound, being the ultimate truth beyond all the complexities of cosmology." (source: The Collected Works of Ramana Maharshi - By Arthur Osborne). Refer to Osborne's India - hvk.org). "The Mahabharata, the great Sanskrit epic of ancient India, records the history of Bharat. 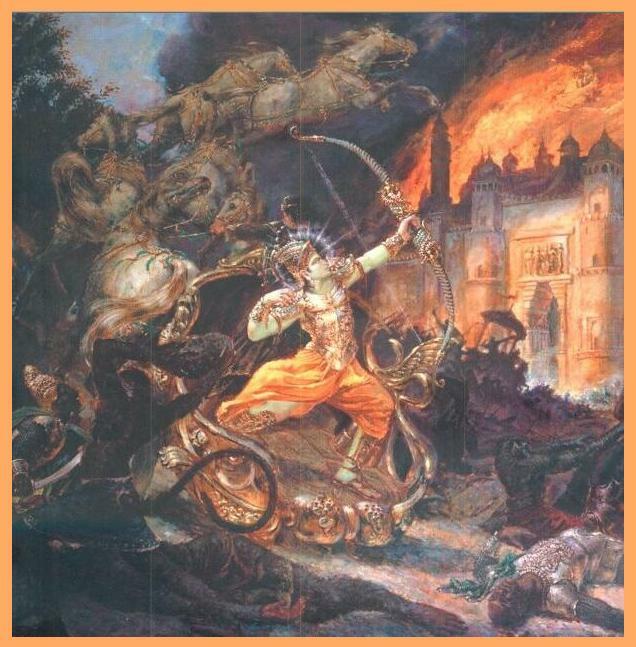 Within it is the Bhagavad-Gita which describes the events of five thousand years ago when Lord Krishna appeared and spoke to Arjuna on the battlefield of Kurukshetra, which saw the triumph of the Pandavas over the Kauravas, the triumph of good over evil. That event marked the beginning of Kali Yuga. So the Sanskrit of the Vedas refers to an era before that time and to the existence of a pool of knowledge that has survived for thousands of years. That is why India and Indian culture is the mother of all modern civilizations." "Sanskrit is such a perfect language that NASA, the American space agency, contemplated using it as a programming language. I’ll give you a comparison so that you will understand just how perfect Sanskrit is! Imagine that Bill Gates came out with a version of Windows that was so good that it did not need to be upgraded for 2,500 years! He would have created a monopoly. Well Sanskrit has the monopoly on languages, because Sanskrit is a perfect language. It cannot be improved upon." 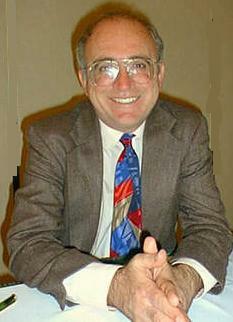 He is a charismatic international speaker, author and expert guest on TV and talk radio. He is a scholar of the Eastern teachings including Vedanta, Raja Yoga, Tantra, Mantra, and Martial arts. 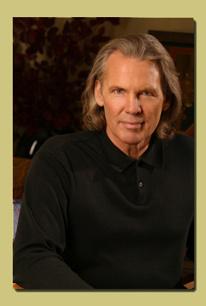 He has practiced Ayurvedic Astrology for 25 years. He predicted over 20 years ago that Silicon Valley would be overrun by Indian innovators and engineers, no one believed him. Today, his prophecy has come true manifold. His next prediction is equally interesting: India will become a superpower in another 20 years, even earlier if Indians propagate their culture and legacy effectively in the West. The motivational speaker, who left his corporate job seven years ago to foster the spread of Hindu and Vedic culture in the West, looks like a typical American till he opens his mouth. (source: India Could Once Again Be Great, If Only Her People Utilised Her Heritage - Saturday Jan 17, 2004 and The Greatness of the Vedas). 366. Dr. L P (Lawrence Pearsall) Jacks (1860-1955) was probably the most widely known British Unitarian minister in both Britain and North America between 1914 and 1940. He was an educator, a prolific writer, and an interpreter of modern philosophy. According to L. A. Garrard, he was 'the last of the Victorian prophets in the line of Thomas Carlyle'. 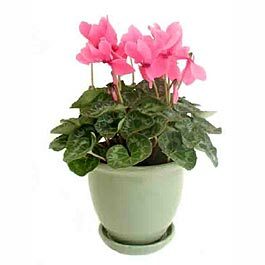 Jacks argued for a natural religion for the common man using twentieth century means of communication. 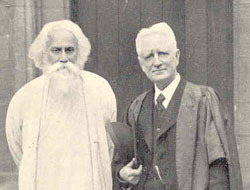 L P Jacks and Rabindranath Tagore at Manchester College. (source: Two letters: L.P. Jacks in reply to C.E. Raven and F.W. Dwelly, concerning the action of Lord Hugh Cecil against Liverpool Cathedral - By L P Jacks London, Oxford university press, H. Milford, 1934. p. 26). 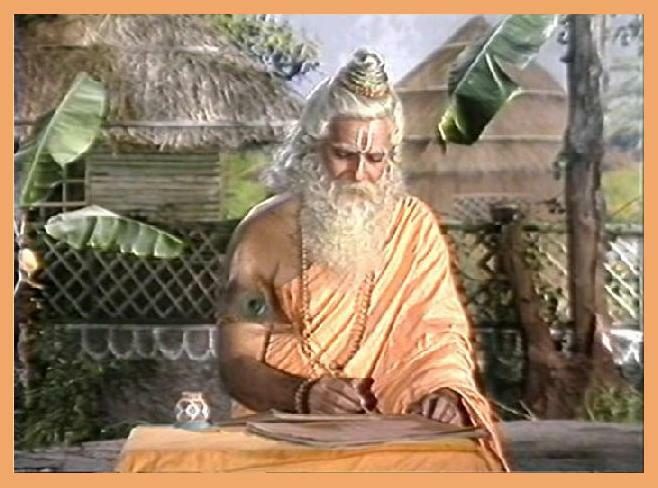 Rishi (sage) Valmiki writing the Epic of Ramayana.
" The sages of India discovered astonishingly subtle and profound psycho-biophysical connections between human organism and cosmic subterranean processes. They knew much that even today is beyond the ken European scientific thought, or that it ignores, often trying to conceal its helplessness by asserting that oriental wisdom is mere mysticism, and thus showing its inability to distinguish the rational but not yet fully understandable essence from various figments of imagination… "
367. 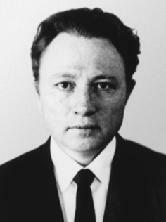 Aleksandr Georgievich Spirkin (1918 - 2004) a well-known Soviet psychologist, who was a corresponding member of the erstwhile USSR Academy of Science and the head of the section of methodological problems of Cybernetics in Scientific Council of Cybernetics of the USSR Academy of Sciences, presents some illuminating views in his book Dialectical Materialism (Progress Publishers Moscow-1983, published during the Soviet days) about Indian's ancient explorers. It is sometimes difficult for us to penetrate the profound language of symbolic forms in which this wisdom is couched, to get at the essence of that wisdom. A full understanding of these complex problems can be achieved only in the broad context of history and culture. Historical experience offers us some instructive lessons for the present day. If we look around thoughtfully at the path humanity has passed, it is not difficult to see that the minds of the makers of culture have been guided by the desire to achieve an understanding and a rational transformation of the human being himself, his bodily and spiritual organization, the preservation and strengthening of his health. Socio-political, philosophical, religious, moral, aesthetic and all cultural efforts in general have tended towards this goal. "The culture of the ancient Orient affirmed not only ideas of man's dependence on the supernatural forces that were external to him; there was also a tendency to cultivate certain rules of behaviour in relation to these forces, including techniques of training the body in relation to these forces to regulate and perfect bodily and spiritual processes. Various systems of exercises linked with religious beliefs were evolved to change the state of the mind, the consciousness, to achieve complete unity with the universe, to become one with the energy of nature. These techniques for influencing one's own organism through the mechanisms of psycho-physiological self-regulation and control - techniques that are much in fashion today – could not have survived for centuries and have penetrated other cultures with a different ethnos, if they had not contained some real knowledge of the most subtle and hidden structural. Energo-informational neuro-psychical and humoral potentials, which even now sometimes seem fantastic to the analytical European mind, particularly when it is fettered by stereotypes. "It is sometimes difficult for us to penetrate the profound language of symbolic forms in which this wisdom is couched, to get at the essence of that wisdom." (image source: The Art of Southeast Asia - By Philip Rawson). "Oriental culture is full of beliefs about the role of the way of life and its various components – breathing techniques, the ability to commune very subtly with nature, acupuncture, cauterizing, and other ways of influencing the biologically active centers of the organism, herbo-medicine, diagnostics by means of the iris of the eye, pulse and olfactory diagnostics, consideration of the position of the earth in relation to the celestial bodies in medicine, the time of year and day and of the properties of water in relation to the state of the earth strata and the character of its flow in connection with the geo magnetic phenomena – all this and much else has contributed to the great wisdom of the Eastern peoples, the wealth of their culture and man's place therein, their understanding of the mechanisms of regulation of his life activity and vital potentials. Thus already in the distant past, in the mists of mythological world views the precious crystals of knowledge, tested by the experience of centuries, of skills in beneficially influencing man's body gradually accumulated. How could people of those far off times know so much without any experiments or apparatus about the conditions and factors that regulate the course of the vital processes and the character of the interaction between man and nature, particularly the influence of the celestial bodies, the sun and the moon and various radiations proceeding from outer space and the bowels of the earth!? And all this was taken into consideration both in diagnosing and in treatment! Does this not go to show an astonishingly high level of culture that should arouse our admiration, gratitude and desire to study! This knowledge could not have retained its vitality if it had not again and again been confirmed by practice." (source: Dialectical Materialism - By Aleksandr Georgievich Spirkin p. 339 - 340). "India prior to the Moslem invasions was one of the world’s great civilizations. Tenth century Hindustan matched its contemporaries in the East and the West in the realms of philosophy, mathematics, and natural science. Indian mathematicians discovered the number zero (not to mention other things, like algebra, that were later transmitted to a Moslem world which mistaken has received credit for them). Dancing Ganesha from Halebid, Karnataka. (image source: The Art Heritage of India - By Ernest B. Havell p. 148-149). Medieval India before the Moslem invasion, was a richly imaginative culture. Its sculptures were vigorous and sensual, its architecture ornate and spellbinding. "Medieval India, before the Moslem invasion, was a richly imaginative culture, one of the half-dozen most advanced civilizations of all time. Its sculptures were vigorous and sensual, its architecture ornate and spellbinding. And these were indigenous achievements and not, as in the case of many of the more celebrated high-points of Moslem culture, relics of pre-Moslem civilizations that Moslems had overrun. " (source: Islam’s Other Victims: India - By SergeTrifkovic - frontpagemag.com). For more by Serge Trifkovic, refer tochapter on Islamic Onslaught. 369. William Blake (1757—1827) English poet, painter, and engraver, who created a unique form of illustrated verse; his poetry, inspired by mystical vision, is among the most original, lyric, and prophetic in the language. 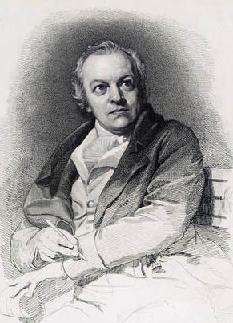 According to author David Weir - William Blake’s poetry was due to the British discovery of Hindu literature. His mystic system springs from the rich historical context that produced the Oriental Renaissance. 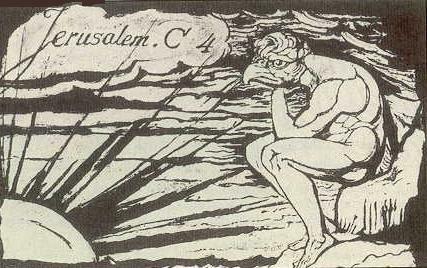 The reference to Brahma in The Song of Los shows that Blake was able to incorporate the latest mythographic material into his own evolving system. When Rintrah gave Abstract Philosophy to Brahma in the East. For many years now a fairly large contingent of critics has insisted on a relationship between Blake’s work and Hindu mythology. In 1924, S Foster Damon claimed that Blake was “in accord with Eastern mysticism". Blake refers to the "Geeta" in his Descriptive Catalogue of 1809, the same year that Moses Haughton engraved the plates for Edward Moor’s The Hindu Pantheon (1810), a copious account of Hindu deities with the Sanskrit names of the gods affixed in Devanagari script by Charles Wilkins. Engraving of a spectre, plate 78, by William Blake. The most obvious similarity is the combination of bird and human which is usual in Indian iconography. 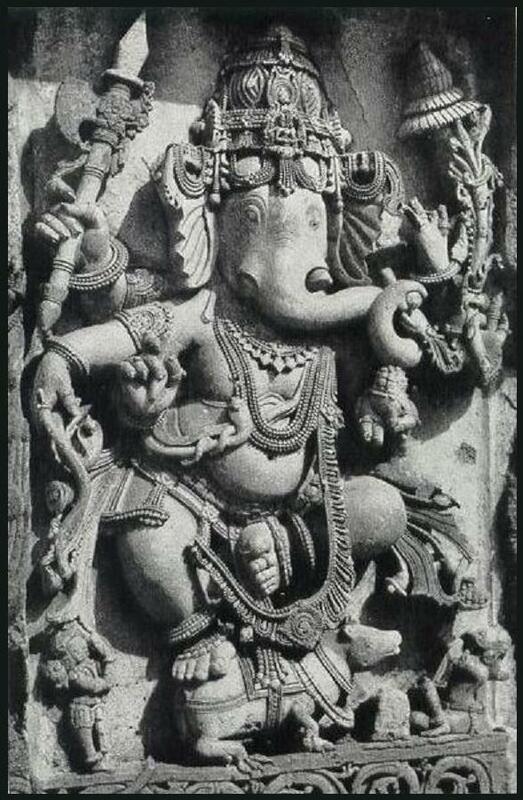 Blake is said to have done a drawing of two-elephant headed figures that might have been modeled after Ganesha. 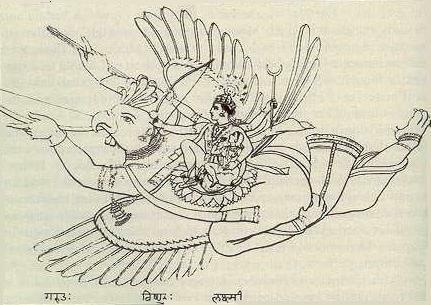 (image source: Drawings of Garuda from Edward Moor's The Hindu Pantheon). (source: Brahma in the West – By David Weir p. 8 - 97). 370. Rev. Roger Bertschausen ( ? ) at the Fox Valley Unitarian Universalist Fellowship of Appleton, Wisconsin. He has written about the Philosophy of Time. "We in the West have long had trouble with time. Early Judaism, Christianity and Islam had no inkling of the long age of the universe. Cosmologies from these religions were based on the notion that the universe started at a finite point in the recent past. St. Augustine set the beginning of the universe at 5000 BCE. For centuries, this figure was embraced by most Westerners. (And some continue to believe it.) Additionally, the early Christians also believed that the end of time as we know it was close at hand. This view of time contrasts sharply with other religious perspectives on the age of the universe. In the Hindu tradition, for example, one day in the life of Brahma lasts 4,300,000,000 years. And Brahma lives for the equivalent of 311,040,000,000,000 human years. The historian of religions Huston Smith reports one way of conceiving of the Hindu time-frame. We understand now from modern physics that the Hindu concept of time is much closer to the mark than St. Augustine's. Scientists now estimate that the universe is ten to twenty billion years old. We do not yet know for sure if our universe will keep expanding into infinity or if the force of gravity will at some point cause it to cease expanding and to collapse in what is called "the Big Crunch." Even if it turns out that the universe will eventually collapse, the Big Crunch probably wouldn't begin for at least another ten billion years. I find the understandings of modern science--as well as of Hinduism--to be very helpful in this regard. We are part of a universe that has existed for billions of years and will likely continue to exist for billions more. The long view that this understanding should give us has not yet fully emerged--it's hard to unlearn centuries of believing that the universe is only several thousand years old. (source: On Time and Place: A Philosophy of Time - By Rev. 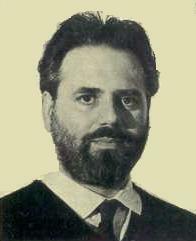 Roger Bertschausen). For more on Cosmology refer to chapter on Glimpses_XIII and Advanced Concepts and Hindu Cosmology. 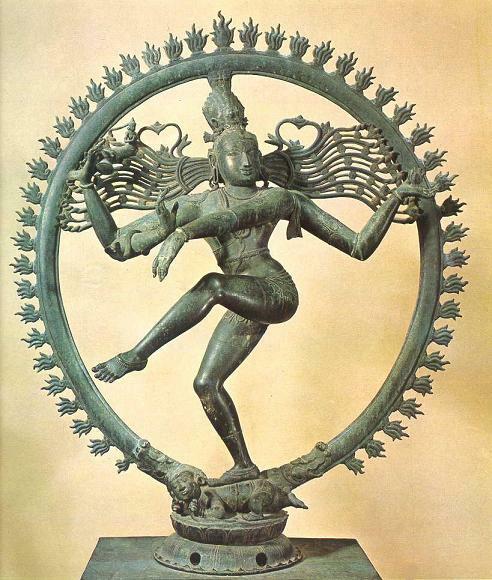 Shiva Nataraja: Lord of Dance. We understand now from modern physics that the Hindu concept of time is much closer to the mark than St. Augustine's. 371. 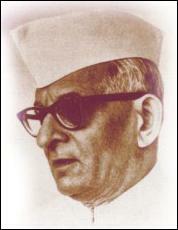 Dr. K M Munshi (1887 - 1971) A freedom fighter, Committee of the Indian National Congress. He founded Bharatiya Vidya Bhavan in 1938 with the blessings of Mahatma Gandhi. He ceaselessly strove for cultural and spiritual regeneration. "The Mahabharata is not a mere epic. It is a romance, telling the tale of heroic men and women and of some who were divine; it is a whole literature in itself, containing a code of life, a philosophy of social and ethical relations, and speculative thought on human problems that is hard to rival; but above all, it has for its core the Gita, which is, as the world is beginning to find out, the noblest of scriptures and the grandest of stages in which the climax is reached in the wondrous Apocalyspe in the Eleventh canto." (source: The Treasury of Hinduism - By H L Singh p. 130). 372. Michael Cremo (1948 - ) born in Schenectady, NY, in 1948, he received his first copy of the Bhagavad-Gita from some Hare Krishnas at a Grateful Dead concert. You later joined the group and began writing for the Bhaktivedanta Book Trust at ISKCON (International Society for Krishna Consciousness). The idea of ape-men is not something that was invented by Darwinists of the nineteenth century. Long before that, the ancient Sanskrit writings were speaking of creatures with apelike bodies, humanlike intelligence, and a low level of material culture. For example, the Ramayana speaks of the Vanaras, a species of apelike men that existed millions of years ago. But alongside these ape-men existed humans of our type. The relationship was one of coexistence rather than evolution. "The Hindu, or Vedic, concept of time is cyclical. There are cycles within cycles within cycles. The basic unit of this cyclical time is called the day of Brahma. It lasts about 4.3 billion years. It's followed by a night of Brahma, which also lasts about 4.3 billion years. The days follow the nights endlessly in succession. During the days, life is manifested in the universe, and during the nights it's dormant. The current day of Brahma, the one we are in now, began about 2 billion years ago. So by this account, we should expect to see signs of life, including human life, going back about 2 billion years on earth. Modern geologists give the earth an age of about 6 billion years. I think there is also a Vedic parallel here as well. First, we have to keep in mind that the Vedic conception of the universe is that it's pretty much like a virtual reality system, giving the conscious self a temporary domain of experience, apart from the eternal domain of the realm of pure consciousness, or spirit. Under this conception, I picture the earth, our particular domain of experience, as being somewhat like a rewritable CD or DVD disk. It's erased at the end of each day of Brahma." 'This is an interesting parallel between the Vedic and modern scientific accounts. Also, the day of Brahma is divided into 14 subcycles called manvantara periods, each lasting about 300 million years. Between each one there is a devastation, after which the earth has to be repopulated. We are now in the seventh manvantara cycle, and that means there have been six devastations over the past 2 billion years. Modern paleontology also tells us that the history of life on earth has been interrupted by six major extinction events, spaced at intervals of hundreds of millions of years, the last being the one that wiped out the dinosaurs about 65 million years ago. " '.. true ancient Hindu cosmology was "dismantled" by Europeans in order to bring it into line with the biblical time scale.. this happened during the 18th and 19th centuries. They tried to fit everything within five thousand years." (source: Human Devolution - biped.info). For more refer to Human Devolution: A Vedic Alternative to Darwin’s Theory). 373. Charles H. Townes (1915 - ) A member of the technical staff of Bell Telephone Laboratories from 1933 to 1947. Dr. Townes worked extensively during World War II in designing radar bombing systems and has a number of patents in related technology. He invented the microwave-emitting - MASER. (source: Interviews with Nobel Laureates and Eminent Scholars to T. D.Singh and Pawan K. Saharan on 19-Oct-1985, (1986) p.67). 374. Major-General Charles Stuart - 'Hindoo' Stuart (1758- 1828) was an Irish man and a member of the Asiatic Society, who came out to India in his teens. He seems to have been almost immediately attracted to Hinduism and within a year of his arrival in Calcutta had adopted the practice-which he continued to his death-of walking every morning from his house to bathe in and worship the Ganga according to Hindu custom. "Incredible as it may sound," wrote one horrified officer, "there is at this moment a British general in the Company's service, who observes all the customs of the Hindoos, makes offerings at their temples, carries about their idols with him, and is accompanied by fakirs who dress his food. He is not treated as a madman, but would not perhaps be misplaced if he had his idols, fakirs, bedas, and shasters, in some corner of Bedlam, removed from its more rational and unfortunate inmates." Stuart's military contemporaries never quite knew what to make of their general. One of his junior colonels, William Linnaeus Gardner, himself a British convert to Shia Islam, wrote how "he regularly performs his pooja and avoids the sight of beef". Later, Gardner noted that Stuart was planning to take a week off to bathe at the Kumbh Mela, where he was later seen sitting "surrounded by a dozen naked faqueers who, joining their hands over his head, gave him Benediction . . . Every Hindoo he salutes with Jey Sittaramjee [Victory to Lord Ram and Queen Sita]". Eccentric as he may have been, Stuart was a central figure in the history of the western appreciation of Indian art. The inventory of goods that Stuart left behind him when he died indicates the degree to which he wore Indian clothes and had taken on Indian customs such as chewing paan; it also details the huge number of statues of Hindu deities which Stuart appears to have worshiped. Certainly he built a Hindu temple at Saugor, and when he visited Europe in 1804 he took a collection of his Hindu household gods with him. Brahma - From a painting in the collection of Colonel Charles 'Hindoo' Stuart. (image source: The Hindu Pantheon - By Edward Moor).
" Whenever I look around me, in the vast region of Hindoo Mythology, I discover piety in the garb of allegory: and I see Morality, at every turn, blended with every tale; and, as far as I can rely on my own judgment, it appears the most complete and ample system of Moral Allegory that the world has ever produced." When he died, Hindoo Stuart's collection of Hindu sculpture-the largest and most important ever amassed by a European-ended up in the British Museum where it still forms the core of the Oriental collection. Stuart himself was buried in the Christian cemetery in South Park Street-but with his idols in his coffin and under a tomb which takes the form of a Hindu temple, with a carved stone gateway, the recesses on each side of which were occupied by figures of the Goddess Ganga, Prithvi Devi. (source: India Britannica - By Geoffrey Moorhouse p. 89 and When Albion’s sons went native - By W Dalrymple and Gods and monsters – By William Dalrymple Guardian Saturday August 25, 2007). 375. 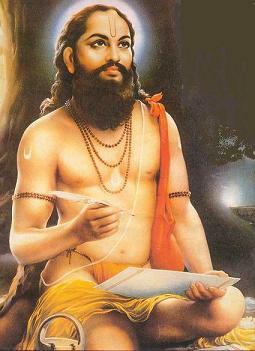 Swami Samarth Ramdas (1608 - 1682) He was a pre-eminent bhakti saint and poet. 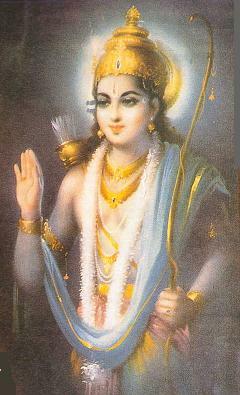 "Ramdas was one of the greatest saints of the world. He was the inspirer of Shivaji. Like the Sanskrit Gita and the Tamil Kurul, the Dasabodh is one of the greatest classics of world literature. Ramdas was a contemporary of Sant Tukaram. As makers of Maharastra and remakers of Hindustan, Ramdas and Shivaji will always go together as one ideological complex in the historical scholarship of future generations." He was the last of the five great Marathi saints, wrote in a style that is generally prose in content and expression. Devoted to the Vishnu incarnation in Lord Rama, he lived as a wandering mendicant visiting the temples of the region. One of his frequent sayings was "Run to my help, Dear Ram. To what extremity are you willing to see me suffer?" O dear Ram, in Thy mercy meet me. Through separation from Thee my whole being is in distress. I cannot free myself from worldly things amongst men. In my despondency I know not how to pass my time. May the Almighty One not have in mind to reject me. May there ever be kindly thought of His bhaktas. Union with Thee I have been unable to have. How am I to acquire it? Victory, Victory to Ram Almighty! The literary works of Ramdas such as Dasabodh, Manache Shlok (verse addressed to the mind), Karunashtakas (hymns to God) and Ramayana (describing only the conquest of Lanka by Sri Rama and the vanquishing of Ravana) are very popular. It was as a tribute to Ramdas's extraordinary patience and determination in rehabilitating the Hindu religion in India that people named him Samartha (all-powerful) Ramdas, a name which he richly deserved. This great Guru of Maharashtra breathed his last in 1682 at Sajjangad, near Satara, a fortress which was given to him by Shivaji for his residence. "Run to my help, Dear Ram.To what extremity are you willing to see me suffer?" Ramdas was spiritual teacher of the greatest of Maratha political rulers, Shivaji. 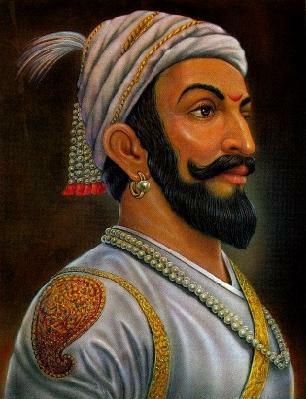 Ramdas was spiritual teacher of the greatest of Maratha political rulers, Shivaji. "The Bhagavad Gita teaches us that one attains union with God through knowledge, love and action. These three must develop together so that we can unite with God through the divination of intelligence, love and action. This is integral yoga." (source: Religions of India - By Thomas Berry p. 53 - 54. Also refer to La Glorie du nom divin - By J .K. Sahasrabudhe). 376. Devamrita Swami ( ? ) American born, is an author and researcher specializing in the history and knowledge of ancient India. Born in New York City, he began his immersion in India upon graduating from Yale University in 1972. 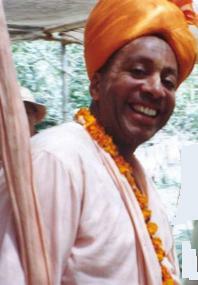 Visiting India annually for three decades he is an ordained sannyasi or monk, of India's Vaishnava spiritual tradition. "The Vedas are the largest mass of sacred knowledge from the ancient world, and they are its most brilliant literary achievement. In the Vedic literature we find an exquisite Weltanschanuung, a majestic world outlook followed by millennia by a highly developed civilization. The West, however, would benefit profoundly by seriously exploring the value of the Vedic texts, in revealing a completely different way of seeing the universe. And – most important for our problems today – the Vedas reveal a completely different way of belonging to the universe." An uncanny confidence permeates the Vedic texts, that the highest reality can be approached via any subject matter. Since everything has emanated from the supreme reality, all subjects of study are considered within the purview of Transcendence. The Vedas tell us that because Brahman is not subject to material analysis, therefore its telltale evidence, consciousness, cannot be dissected. (source: Searching for Vedic India – By Devamrita Swami p. 24 - 322). 377. Sting (1951 - ) Born in Newcastle, England in 1951, the son of a milkman, Born Gordon Matthew Sumner in Wallsend, Northumberland. He received his name Sting from his striped sweater in which Gordon Solomon said that he looked like a bee. Sting, who received the Commander of the British Empire (CBE) honour from the queen is reportedly unimpressed with the honour and believes it is not a big achievement to get awards from a country that has shrunk to an island. "It's not very big, the British Empire. It used to be the whole world and now we own, like, one island. 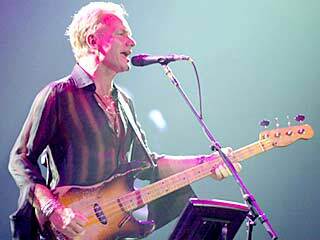 It's called England"
Rock star Sting has declared himself a Hindu in an e-mail interview with Hindustan Times ahead of his concerts in India in aid of Tsunami victims. Sting revealed that he feels like a Hindu. "In a sense I am more of a Hindu ... I like the Hindu religion more than anything else at the moment." "I have become addicted to India," reveals Sting, adding that he would like to spend the rest of his life discovery this beautiful country. His favorite place is Benaras (Varanasi). There is something very magical about Benaras." "Shiva temple that has fallen half way into the Ganga", and says, "I find that such a wonderful, powerful image…"
The Goddess Theme - The female deity plays a prime role in his music. It is something "I spend a lot of time for." Sting feels, "We need more of the female deity in this world." The Concept of God - "I would not consider myself a Christian any longer. My beliefs are much wider than that. I don't believe God is necessarily a Catholic or Islamic or anything else...it's a much larger concept than that..." said this latest Champion of the Universal Religion. Sting says, "I have a great deal of respect for Indian music." He said that knows quite a lot about the musical tradition of India and its intricacies. I am aware how complex ragas are, and how specific the rhythm is." He is particularly fond of the sitar maestro Ravi Shankar and his daughter Anoushka. (source: Why Sting Likes Hinduism - about.com). 378. Denis Diderot (1713-84) he was a prominent French figure in what became known as The Enlightenment, and was the editor-in-chief of the famous Encyclopédie. He was also a novelist, satirist, and dramatist. 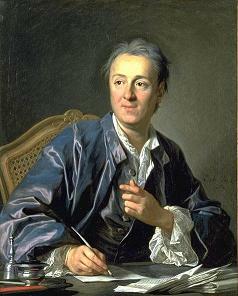 Diderot was enormously influential in shaping the rationalistic spirit of the 18th century. (source: Searching for Vedic India – By Devamrita Swami p. 164). "A thousand years before the childish image of the earth drawn by Cosmas Indicopleustes, a scholar-explorer of the 6th century, in his Christian Topography, philosophers had a different and much more accurate idea of the shape of the earth. Until the second part of the 19th century scholars and clerics of the West thought that the earth was but a few thousand years old. Yet ancient Brahmin books, estimated the Day of Brahma, the life-span of our universe, to be 4.32 billion years. This figure is close to that of our astronomers, who calculate it to be about 4.6 billion years. " "The Indian sage Uluku proposed a hypothesis over 2,500 years ago that all material objects were made of paramanu, or seeds of matter. He was then nicknamed Kanada, or the swallower of grains." "The sacred writings of ancient India contain descriptions of weapons which resembled atomic bombs. The Mausola Parva speaks of a thunderbolt – “a gigantic messenger of deaths” – which reduced to ashes whole armies and caused the hair and nails of the survivors to fall out. Pottery broke without any cause and the birds turned white. After a few hours all foodstuffs were poisoned. The ghastly picture of Hiroshima comes to mind when one reads this ancient text from India." “A blazing missile possessed of the radiance of smokeless fire was discharged. A thick gloom suddenly encompassed the heavens. Clouds roared into the higher air, showering blood. The world, scorched by the heat of that weapon, seemed to be in fever,” thus describes the Drona Parva – in The Mahabharat. One can almost visualize the mushroom cloud of an atomic bomb explosion and atomic radiation. "Another passage compares the detonation with a flare-up of ten thousand suns. In ancient times the day was divided into 60 kala, each equal to 24 minutes, subdivided into 60 vikala, each equal to 24 seconds. Then followed a further sixty-fold subdivision of time into para, tatpara, vitatpara, ima, and finally, kashta or 1/300,000,000 of a second. Is this reckoning of time a folk memory from a highly technological civilization? Without sensitive instruments the kashta would be absolutely meaningless. It is significant that the kashta, or 3 x 10-8 second, is very close to the life-spans of certain mesons and hypersons. This fact support the bold hypothesis that the science of nuclear physics is not new." (source: We Are Not The First: Riddles of Ancient Science - By Andrew Tomas p. 15 - 49 and 49 - 55). Lord Rama in epic battle with Ravana. Dr. Fredrick Soddy had a great regard for the Indian epics of Ramayana and The Mahabharata. In 1909 when academics were first beginning to grasp the awesome power of the atom, he did not take these ancient records as fable. 380. Frederick Soddy (1877 - 1956) English born scientist. Studied in the University of Oxford. 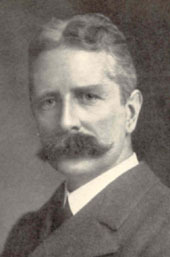 From 1900 to 1902 and was Chemistry assistant in the University of McGill, Montreal, where he co-worked with Rutherford. He received in 1921 a Nobel Prize Laureate in Chemistry. He awarded the Nobel prize in 1921 - ""for his contributions to our knowledge of the chemistry of radioactive substances, and his investigations into the origin and nature of isotopes"
In 1903, with Sir William Ramsay, Soddy verified that the decay of radium produced helium. (source: We Are Not The First: Riddles of Ancient Science - By Andrew Tomas p. 53). For more refer to chapter on War in Ancient India and Vimanas.